Rabat - Thousands of Moroccans marched in Casablanca in solidarity with Hirak Rif activists, who were handed sentences ranging from 1 to 20 years. 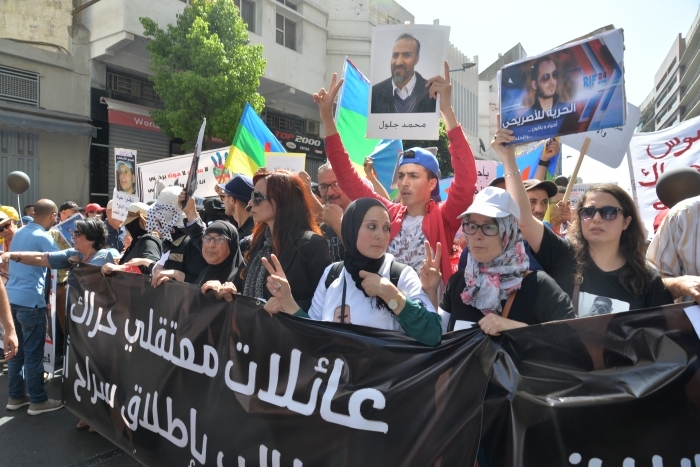 Rabat – Thousands of Moroccans marched in Casablanca in solidarity with Hirak Rif activists, who were handed sentences ranging from 1 to 20 years. 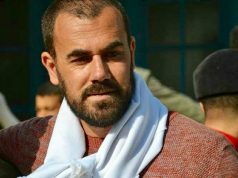 Since June 26, the day a Casablanca court decided the sentences for 54 leaders of the Hirak Rif 2016-2017 protests, the government has received harsh criticism for the activists’ convictions and sentences. Thousands of citizens are determined that the sentences were “harsh” and “unfair,” since the activists were jailed for their involvement in protests decrying social disparities in the Al Hoceima province. Almost 10,000 protesters in Casablanca marched, carrying banners saying “justice” to call for the activists’ immediate release. The backlash over the sentences mounted as government officials said their hands were tied, emphasizing that the cabinet could not interfere since the judiciary is independent. 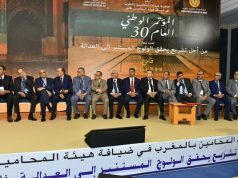 Several politicians, however, showed solidarity with activists, including Head of the Unified Socialist Party (PSU) Nabila Mounib and leader of the Party of Progress and Socialism Nabil Benabdellah. Mounib also called on human rights NGOs, political parties, and citizens to participate in Sunday’s national march to support the activists. 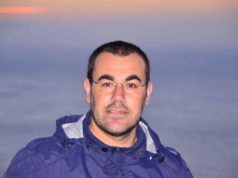 The leader of the PSU has long criticized the government’s approach in handling the Al Hoceima situation. Protests in Al Hoceima began in October 2016 with the death of informal fishmonger Mouhcine Fikri. After his goods were confiscated and thrown in a dump truck, Fikri attempted to retrieve them, but was crushed to death. In her interview with France 24, the politician said, “he parties’ leaders of the coalition government are merely opportunists.” criticizing the criminalization of protests after Fikri’s death. 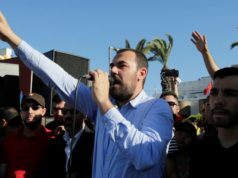 On June 26, the Casablanca Court of Appeals sentenced prominent Hirak activist Nasser Zefzafi and three other leaders involved in organizing protests, to 20 years in prison. The four are among 54 activists whom authorities arrested during protests in Al Hoceima in 2016 and 2017. The demonstrations were deemed “unauthorized” and met a stern response from security authorities. NGOs and citizens criticized the heavy-handed approach. Sunday’s march is not the first of its kind. 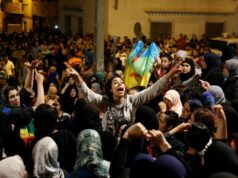 Four protests erupted across Morocco in Nador, Casablanca, and Rabat to condemn the sentences given the Hirak activists. The protest leaders were reluctant to appeal the court’s verdicts. However, they agreed to appeal after a series of negotiations with their lawyers. Only one of the activists, Rabie El Ablaq, who received a sentence of 5 years and a fine of MAD 2,000, decided not to appeal the court’s decision. El Ablaq has also been on a hunger strike for more than 36 days now.